Last week was our Cheat Mountain trip. The scouts, skills students, Jen, and Oso the dog piled into cars and drove past Elkins and up Cheat Mountain. As we leaned out the windows with Oso and smelled the lovely fresh scent of true wilderness, we knew something amazing was coming. First, we had a quick orientation, and then the Skills Week began. Our skills students learned basic navigation skills while learning where things were on our Cheat Mountain campus. 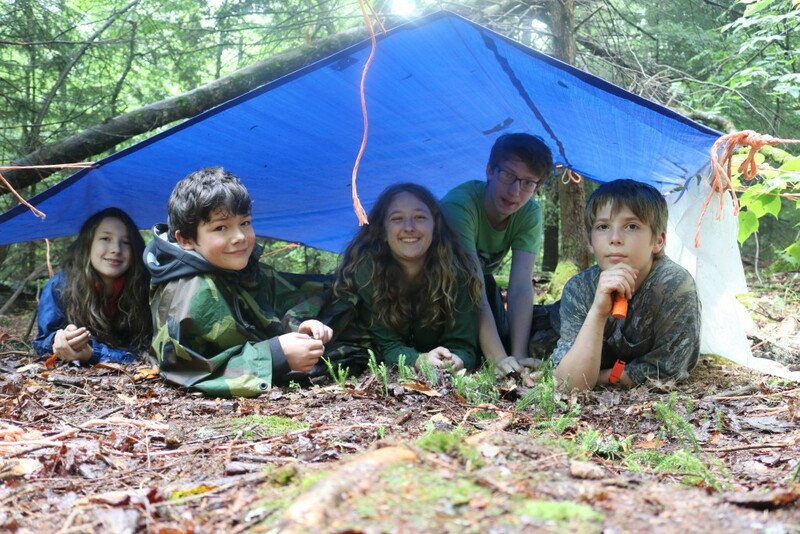 Meanwhile, our scout students set up camp using tarp shelters a few hundred yards up slope. We all came together for a delicious dinner and then had our typical fireside hangout. The next day, skills students learned how to build a debris hut shelter with two of the scouts and Ivan, and then they learned how to get drinkable water from sources in the woods. The scouts hiked around a half mile up slope to set up camp. However, they were met with claps of thunder and a massive downpour! After several hours of fighting the rain, we met up at Maureen and Ivan’s camp and dried ourselves and our wet clothes with a blazing fire. The scouts had a teambuilding discussion, and we all slept warm that night. Wednesday was fire day: the skills students, with the help of our expert fire team from the scouts, learned how to build fires with limited supplies in the very wet conditions of Cheat Mountain. After learning good tricks, the skills students were set with a task: can you build a fire? They were each given a bag with around 20 matches, and their mission was to create a fire, with wood that was at least the size of their wrist in thickness, completely by themselves. After much gathering, trying, frustration, and intensity, tiny fires started to light up the forest. Each successful student was cheered and congratulated as their precious fire reached its desired size. 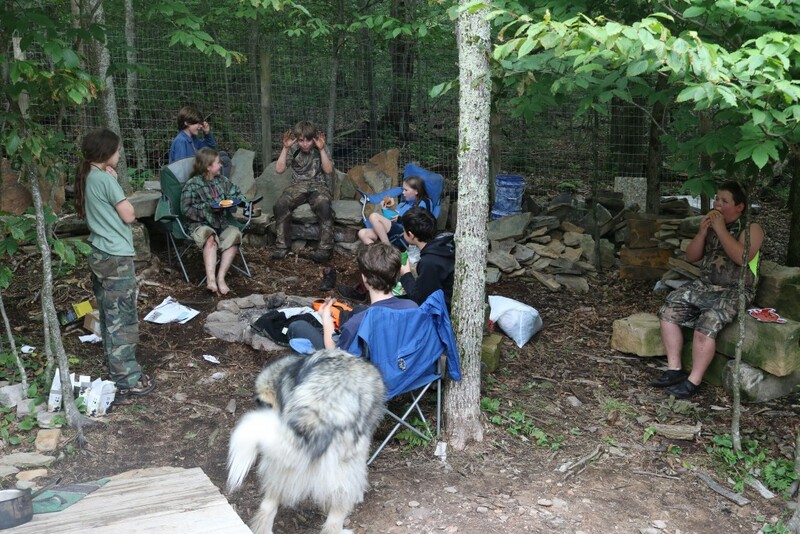 While the skills students were crafting their fires, the scouts stalked them, blending into the woods and building their own secret camp–within sight of the skills students’ camp! We met up for dinner as usual, tired and proud, for journaling, dinner, marshmallows, and fireside talking. On Thursday, everyone woke up with anticipation as high as the hemlocks: it was scenario day. The skills students left on a wild edibles walk with Jen and Maureen. Meanwhile, the scouts prepared with Ivan: by the time they were done, their faces and hands were dark, three were in ghillie suits and one in full camo, two armed with walkie talkies, and all positioned for stalking the skills students during the scenario. The skills students hiked in and thus the scenario began. It was challenging for everyone–skills, scouts, teachers–but we made it, and everyone learned something important, whether it be personal skills or steps towards effectively working as a pack. Friday, the skills students wrapped up with french toast and a final group discussion and debrief. The scouts were up early and went out with Ivan and Winter the dog, and thus scout camp began. The scouts hiked around eight miles with Ivan and had lots of adventures, including crawling through rhododendron forests, wading downstream, swimming the river, and hiking the epic climb back up. Saturday, the scouts learned “tarpology,” or the science of how to effectively set up a tarp, from Maureen and Ivan. They set up a tarp shelter camp, and this time, for both nights (one with rain), they stayed completely dry. Sunday, we went to the river. Ivan taught a workshop on crossing whitewater, which we practiced several times by swimming across the cold, rocky river, and we also practiced wading as a group amoeba across the river. We were surprised by a scenario later that day! Monday morning, we slept in, ate breakfast, had one final debriefing and group discussion, and took down camp. We all learned things on Cheat Mountain. We laughed and we cried–and we did it as a pack. On Cheat Mountain, we learn how to work together to form something stronger than ourselves. When the scouts were wading across the river as a group amoeba, it worked because when one of us fell down, the others were already right there to pull them back up. That’s what Cheat Mountain is teaching us. Cheat Mountain is the most advanced class you can take at Mountain SOL. You have to know a lot and listen very well before you can go, so if you can’t yet, don’t worry! Cheat Mountain is something to look forward to, something to strive towards. 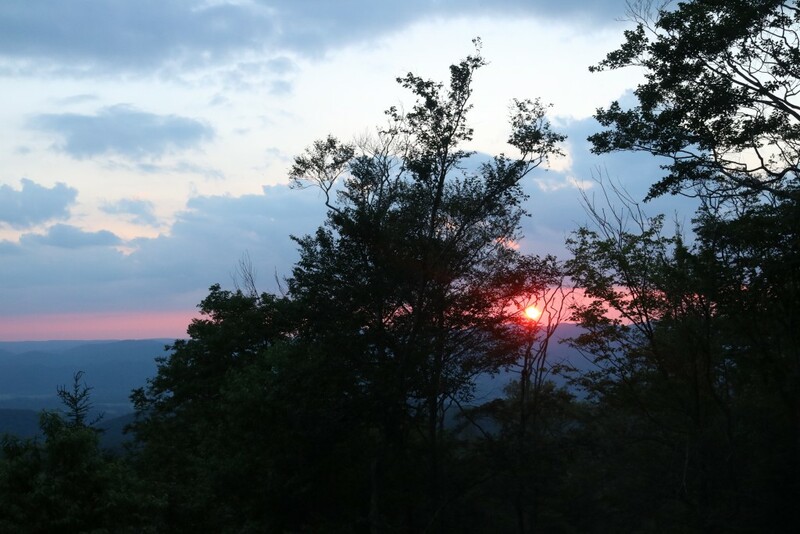 There are lots of summer camps that you can do, however, and many of them are steps towards being able to go to Cheat Mountain. There is also still space in all of them, so please sign up here if you want to have a ton of fun and learn something new and useful!